In 1882 Carpenters Local Union 22 became the first West Coast labor organization to receive a charter from the Brotherhood of Carpenters and Joiners of America, a new international union founded in Chicago the preceding year. The international, which seven years later had its name adjusted to the now familiar United Brotherhood of Carpenters and Joiners of America (UBCJ) would go on to achieve great prominence as one of the largest and most important labor unions in the United States. By 1911, Local 22’s most famous historical leader Patrick Henry McCarthy was the mayor of San Francisco. The city was arguably the strongest union town in the country, and Local 22 and P.H. McCarthy were at the forefront of an important movement. While McCarthy was mayor, he was also president of the powerful San Francisco Building Trades Council (BTC). As BTC president McCarthy centralized control over the various local trade unions, installed the union standard in the construction industry and managed to enforce labor peace by dictating wages and working conditions to the city’s contractors. P.H. McCarthy’s springboard to regional power had been Local 22, the largest building trade union in the West with a membership of 2,000 craftspeople. Widely know as “Big 22”, the Local enjoyed a flourishing reputation for the wages and conditions standards it had set. Mayor McCarthy, in a 1911 campaign statement would refer to the unionized city he presided over as “labor’s stronghold”. 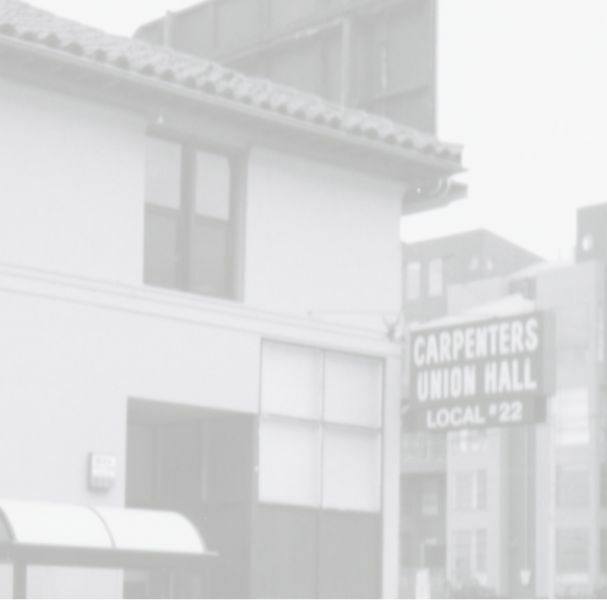 Various organizations of San Francisco carpenters had experienced some success between 1849 and 1881, but their strength and ability to survive would never match the future success of Local 22. While Local 22 did attain great stature during McCarthy’s BTC reign from the late 1890s through 1921, the Local would temporarily lose much of its influence and vigor when employers brought a powerful anti-union campaign to San Francisco in the early 1920s. Local 22 would continue to survive and represent its members as well as it could until organized labor’s overall position improved dramatically in Northern California following the longshoremen’s and seamen’s victory in the great San Francisco general strike of 1934. Twice during the 20th century Local 22 even briefly lost its charter. However, through hard work and vigilance the Local always sustained its essential identity with impressive dignity and resiliency no matter how adverse the conditions. Despite two world wars, two major earthquakes, numerous economic downturns, the great depression, the employer open shop onslaught of the 1920s, a disastrous strike of 1926, another epic battle with the employers in 1952 and various institutional reorganizations within the UBCJ, Local 22 has arrived in the 21st century solidly intact which serves as testament to the determination and sacrifice of our members.